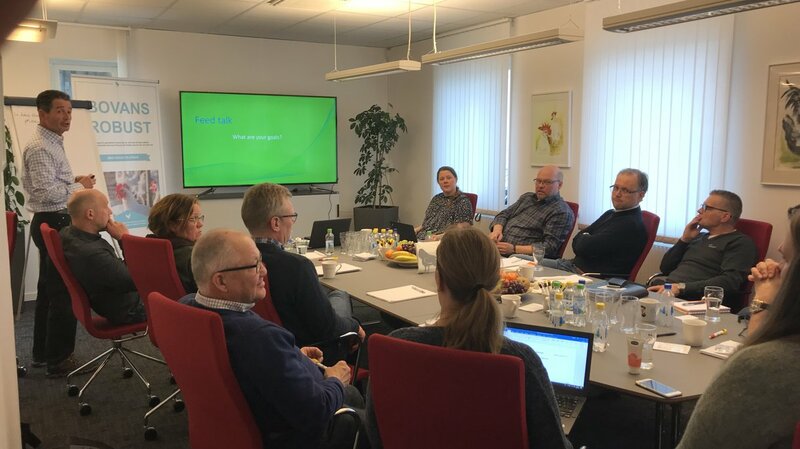 We were very pleased to take part in two days of nutrition education sessions between Swedish distributor Swedfarm and a number of feed companies. On April 4-5 in Linghem, Sweden, Bart Stokvis and myself took part in education sessions on veterinarian issues related to feed and nutrition. Feed companies, veterinarians and the editor of Swedish poultry magazine, FJÄDERFÄ attended the training sessions. We were pleased to provide latest insights and updates on all aspects of veterinarian issues in relation to feeding and nutrition. The agenda also covered the ever prolonging production cycles and managing layers without beak treatment as per the policy in Sweden. 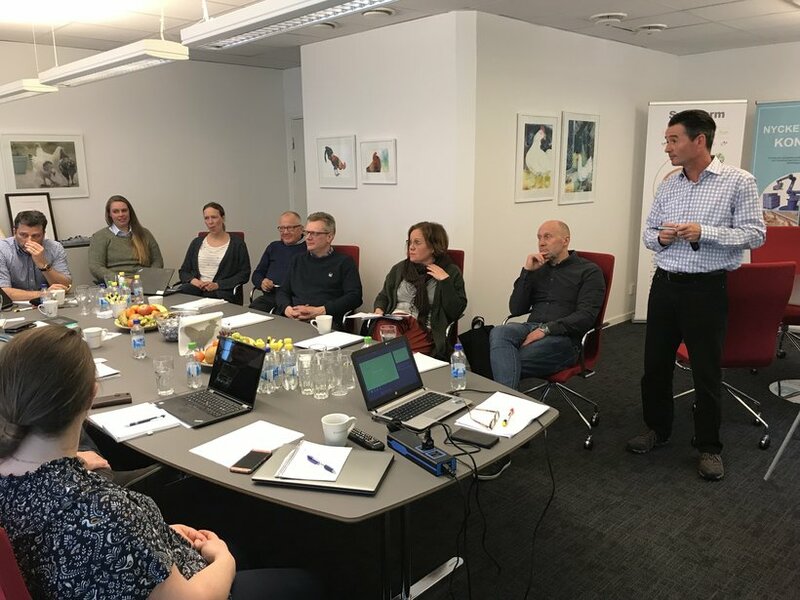 This yearly organized training was initiated by our Swedish distributor Swedfarm together with their biggest day old chick client, Joacim Närkeby. Swedfarm, who currently distributes Dekalb White, wanted to upgrade their knowledge of veterinarian issues in relation to nutrition and feeding in the market and get even better connected with the feed industry. Each day was closed with a very nice meal and all the attendants used the opportunity to exchange information with each other, the organizers and the ‘trainers’. This initiative was a great example of our commitment to sharing knowledge between industry members.